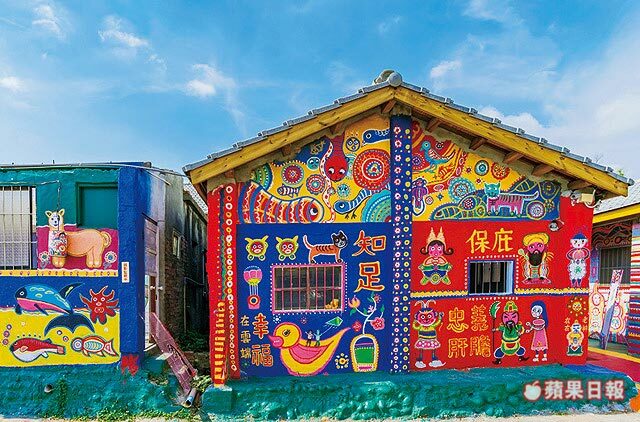 Taichung’s Rainbow Village is a place you have to see in person. Built as cheap houses for soldiers in the 1940s, these buildings were in the process of being torn down. The few that were left were saved by a retired soldier named Huang Yung-fu. As the last person living there, Huang started painting the empty village to pass the time. He created bright, colorful pictures of animals, airplanes, manga characters, and more. Local university students took notice, and before long, the village was getting visitors and was saved from being torn down. The next time you are in Taichung, stop by and appreciate the beautiful art. The city plans on tearing these old buildings down to make a parking lot. A firm hired my retired father as a consultant.